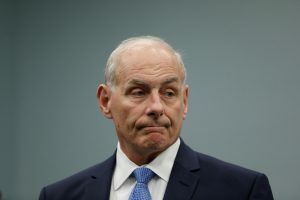 WASHINGTON — Homeland Security Secretary John Kelly said Sunday he’s considering banning laptops from the passenger cabins of all international flights to and from the United States. Kelly was asked on “Fox News Sunday” whether he would expand the ban to cover laptops on all international flights into and out of the U.S. The current U.S. ban applies to nonstop U.S.-bound flights from 10 international airports in Amman, Jordan; Kuwait City, Kuwait; Cairo; Istanbul; Jeddah and Riyadh, Saudi Arabia; Casablanca, Morocco; Doha, Qatar; and Dubai and Abu Dhabi in the United Arab Emirates. About 50 flights a day, all on foreign airlines, are affected. Earlier this month, there were reports that the Trump administration would broaden the ban to include planes from the European Union, affecting trans-Atlantic routes that carry as many as 65 million people a year. U.S. officials have said that initial ban was not based on any specific threat but on longstanding concerns about extremists targeting jetliners. While Kelly referred to “a real sophisticated threat,” the Trump administration’s spending plan for the budget year that begins Oct. 1 would make significant cuts to airport security programs.